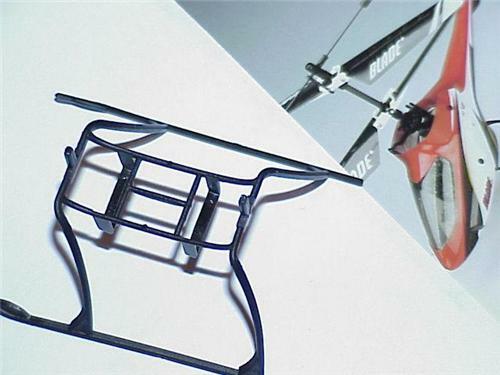 Here you have an E-Flite EFLH2222 COMPLETE LANDING GEAR SKID SET For The E-Flite Ultra-Micro MCX2 Electric R/C Helicopter !! These sets are sometimes hard to find, so take this into consideration, buy accordingly and pick up this complete set for those unexpected failures and crashes that always seem to happen on Sundays And Mondays and tend to ruin your flying fun !! Or replace your Old Broken & Repaired Gear and get your Heli back in perfect shape !!!! You can't go wrong here when you will receive this E-Flite set and you have a Low Purchase Price Of Only $4.00 !! So take advantage of this Great Limited Time Offer & Save !! OK, so Thank You For Looking and Please Check My Other "BUY IT NOW OFFERS" For More Heli Parts, Upgrades, Accessories, And Many More Great Deals !! Also Please feel free to phone or e-mail if you have any concerns or questions ! !